Important - Please read the information and instructions contained on this page before attempting to register through the online registration facility. New and current members can obtain and renew club membership through our online registration system. 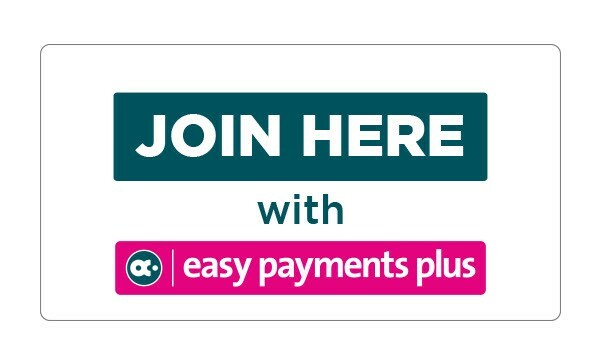 If you used the registraion system last year then you will have already setup an Easy Payments account - simply login using your email address and your password. Forgotten passwords can be reset. Upon clicking the Join Here button at the bottom of this page, you will be presented with a screen showing all the various registration fees available. You will receive a receipt via email for every payment you make. From then on, you can login to your account at any time and look at payments you have made. When club annual registration fees are due for renewal, you will receive a reminder email. Please note: Family plans are strictly for families where Parents and Children are joining the club – Where multiple Senior membership is required in the same household – users must choose the Senior Membership 2019 fee and add as many Senior members as required. Please read the instructions below that are most relevant to you before proceeding to registration. Please be aware that once registration with Portlaoise Athletic Club is complete, all club members still have to be registered with Athletics Ireland by the club and this process can take some time. This is something that club athletes need to be aware of when registering at the last minute in order to compete in championship events.